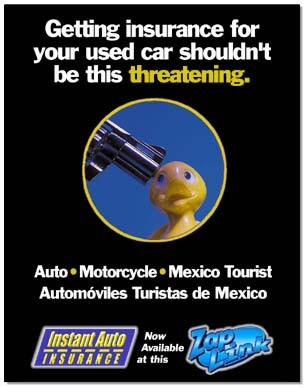 Ad for Instant Auto Insurance. I came up with the concept and wrote the taglines. See the Multimedia section for more examples from this campaign.